Superdry women's Vintage Logo retro rainbow vest. 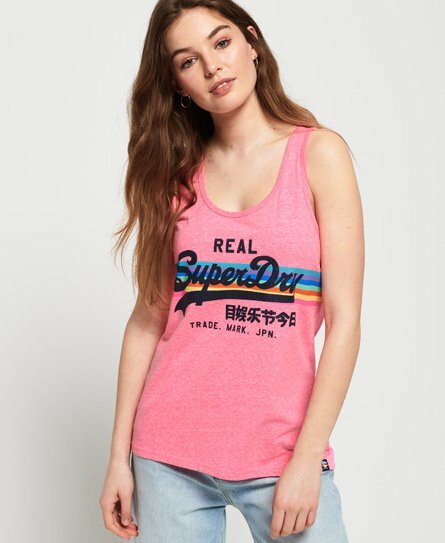 A must have this season, this vest features a textured Superdry graphic across the chest, with a racer style back. Finished with a logo tab on the hem, this vest would pair well with denim shorts and trainers.